For those who don’t dare wear anything too bold, opting for the perfect shade of blush is always an appropriate choice. In the nail world, this ultra-feminine shade is on the more neutral side, making it the perfect pick for the girl who likes to keep it simple. And in the world of fashion, this soft shade has been having more than just a moment – it has become one of the most popular colourways of our times, being rehashed season after season. 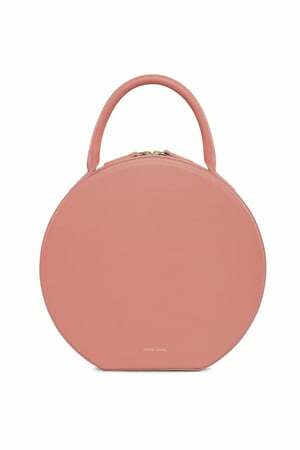 Mansur Gavriel’s assortment of minimalist structured bags are a testament to this, with pretty much every single one available in a blush hue. Their renowned Circle Bag and its top handle are just calling out for an owner with OPI’s Japanese Rose Garden adorned nails – the ultimate pairing in feminine chic. 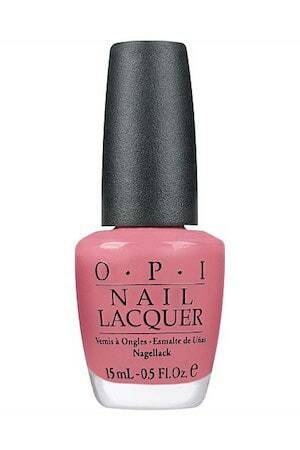 This bolder, Barbie-esque pink calls for more confidence and flair than its blush counterpart. But let’s face it: there’s an Elle Woods in all of us and no doubt she would not object to this pretty in pink combo – as she once famously put it, “Whoever said orange was the new pink was seriously disturbed” (who else agrees?). 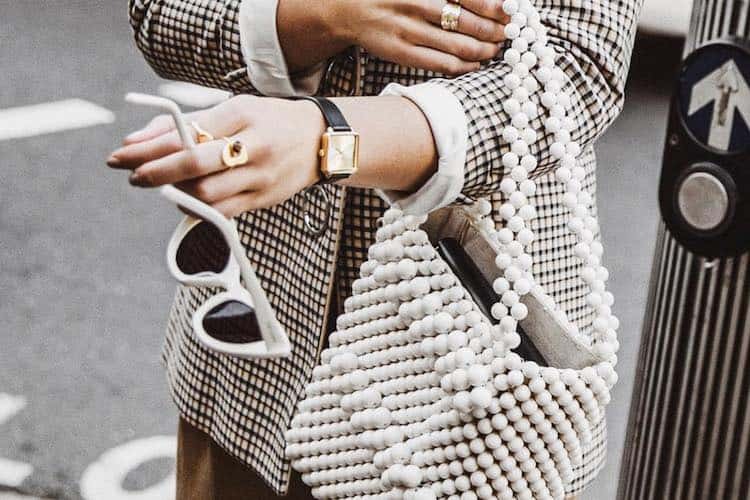 Based out of Los Angeles, you have probably seen this cult label’s bags all over Instagram and on stylish street style stars at recent fashion weeks – that’s right, we are talking about Staud. And while their Shirley leather and PVC tote comes in a variety of colours, we just can’t pass up on the pink. Depending on how bold you’re feeling at the time, this vibrant hue can be transformed into a head-to-toe look (as Elle might don herself) – or you can pare it back and stick to the subtler corresponding bag and nail pairing with Essie’s Madison Ave-Hue. When in doubt, a splash of tomato red can be the key to enhancing your everyday black wardrobe with the pop of colour it so desires. Shades of scarlet are accents best worn on perfectly manicured nails and incorporated into the smaller details of your outfit, via a mini cross body bag or a a picture-perfect pout. This vibrant hue lends itself to being the focal point of your look – so make it interesting. 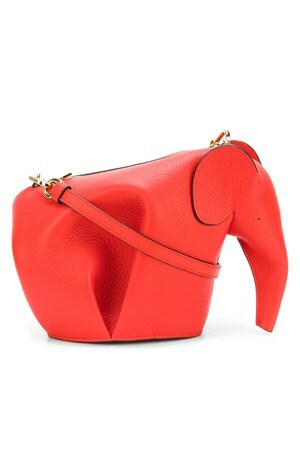 Loewe’s iconic Elephant Mini Bag is naturally a go-to for those wanting to don something a little out of the ordinary without being faux pas. 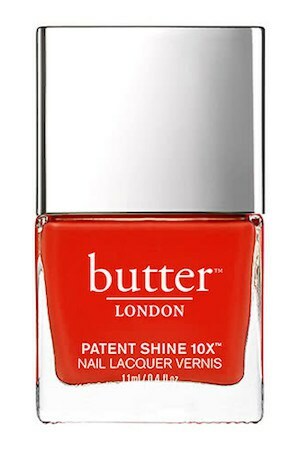 Compact and cute, this bright red bag is compatible with Butter London’s Patent Shine 10x Nail Lacquer in Smashing because, well, it’s a smashing shade. 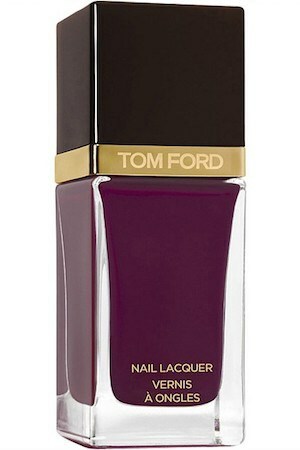 For those seeking more seductive and sultrier shades, a rich burgundy or plum is the hue for you. This lustrous colour is best worn with complementary rich jewel tones, velvety textures and a glass of merlot in hand to set the mood. 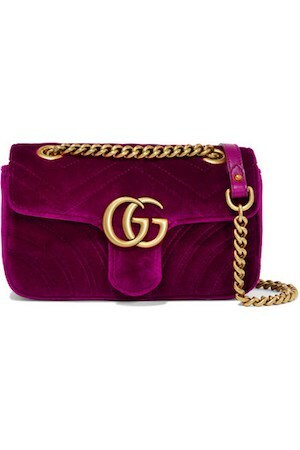 Who better to set the mood, too, than luxury powerhouses Gucci and Tom Ford themselves, with their GG Marmont Mini Quilted Velvet Shoulder Bag and Plum Noir Nail Lacquer, respectively. The Gucci GG Marmont’s lush tones and plush quilted velvet works berry well (sorry, but we couldn’t help ourselves) with Tom Ford’s rich Plum Noir, making for an uber luxe look that will have all eyes on you. Soft periwinkle and pastel blue shades are amongst the prettiest of them all – perfect when worn head-to-toe, paired with a neutral outfit or weaved into a pastel palette of baby pinks and sorbet yellows. 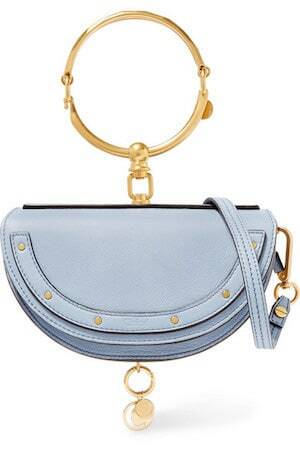 Work it into your look with Chloé’s cool girl Nile Bracelet Mini Textured-Leather Shoulder Bag – ideal for summer, this soft shade accentuates that golden glow you will no doubt be sporting very soon. Plus, a bag that comes with a bracelet as its key feature calls for a meticulous manicure to match – which is why we love the Kester Black Forget Me Knot Nail Polish. The pairing creates a gentle duo that calls attention to your hands – so be sure to adorn your fingers with gold rings, too. Last but definitely not least, electric blue is sure to be a showstopper. This cobalt colourway is bold and upbeat – navy’s louder and more boisterous cousin. For those who like to stick to their neutral colours, this is your chance to be brave and step a little outside the box. Not convinced yet? 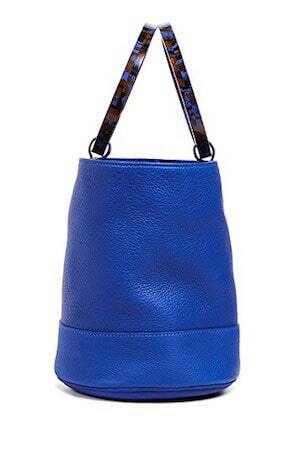 You may well be after laying eyes on Simon Miller’s brilliantly blue Bonsai Bucket Bag. Yes, that’s right – they have brought out their cult offering in a striking shade of cobalt blue. Considering the bag’s eye-catching circular handles, it’s a given that you will need a matching mani to create the ultimate ‘grammable look, like the other street style stars who have joined the bucket bag cult. 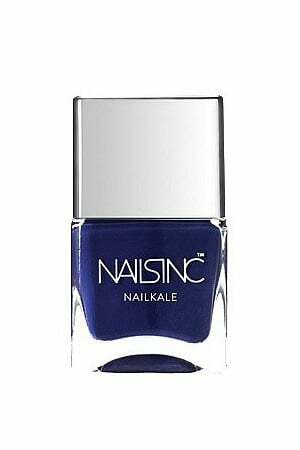 Nails Inc. Nail Lacquer Kale in Midnight Navy is our go-to for a dazzling duo that will amp your outfit and help you stand out from the navy crowd.